Swim Lessons run 3 days a week for a 2 week period, for a total of 6 mornings. Each lesson is 45 minutes. Schedule All Sessions are held Monday, Tuesday, and Friday Mornings 9:45 a.m. to 10:30 a.m. This level is designed to give young children a head start on swimming. 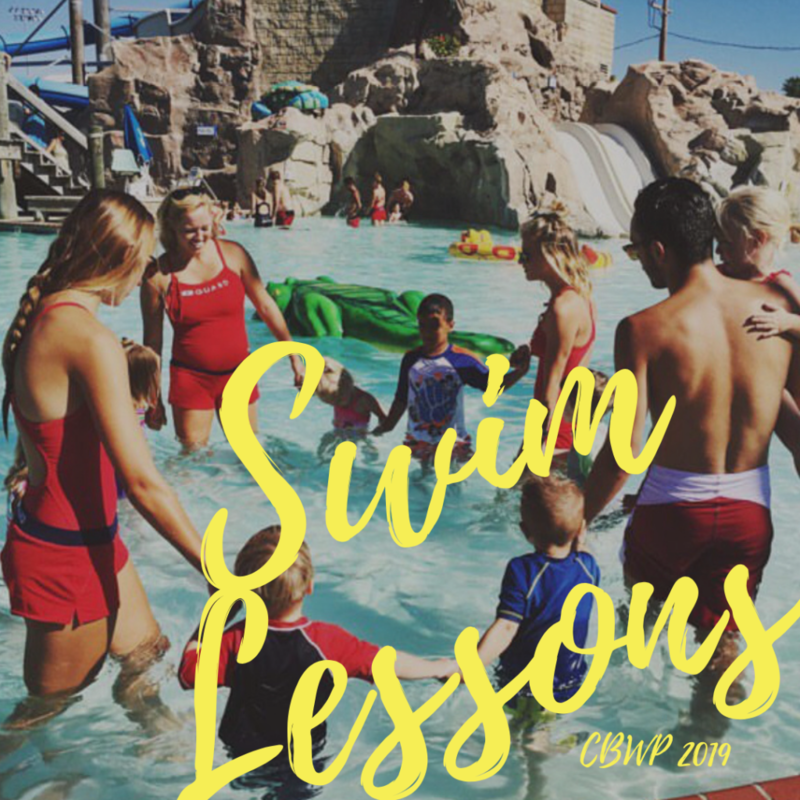 Great for children to get comfortable in the water and begin to work on basic skills while interacting with instructor and other children in a fun and safe environment. A parent (or adult) must accompany the child in the water. Water Exploration – Children learn basics of swimming: bobbing, floating in prone and supine positions, gliding in prone and supine positions, flutter kick in prone and supine positions, front crawl, basic safety rules, and jumping in. Primary Skills – Children should already be able to: float on front and back and put head under water. Children will work on: floating, gliding, flutter kick, front crawl, back crawl, turning over from front to back and back to front, retrieving object, and jumping into water over their head. Stroke Readiness – Children should already be able to: swim front and back crawl. Children will work on: gliding, front crawl, back crawl, elementary backstroke, retrieving object, treading water, jumping into deep water, kneeling dive, & compact dive. Stroke Development – Children should already be able to: swim front & back crawl 10 yards, elementary backstroke, and dive in kneeling and compact position. Children will work on: deep water bobbing, rotary breathing, front crawl, back crawl, elementary backstroke, scissors kick and sidestroke, whip kick and breaststroke, intro to turning at wall, treading water with modified scissors, breaststroke, rotary kicks, & diving in stride and standing positions. 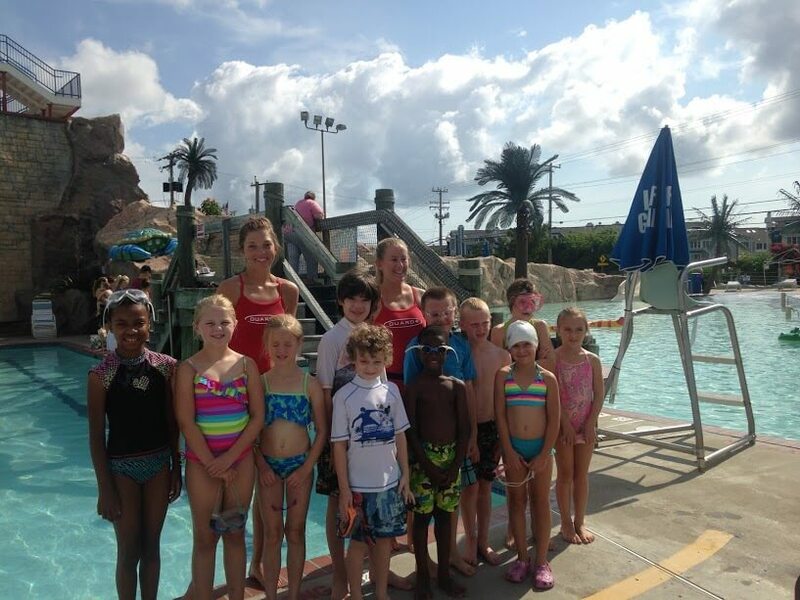 This program is designed to teach children about the basics of lifeguarding. It is intended for those young adults that are interested in exploring what the duties/requirements are in becoming a lifeguard. 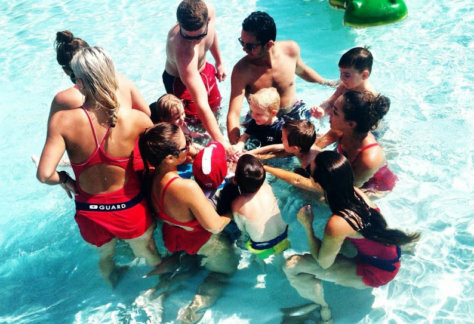 “Lifeguards in training” will learn the basics of first aid, rescue breathing, CPR, the Heimlich Maneuver, rotations, guest relations, and scenarios. 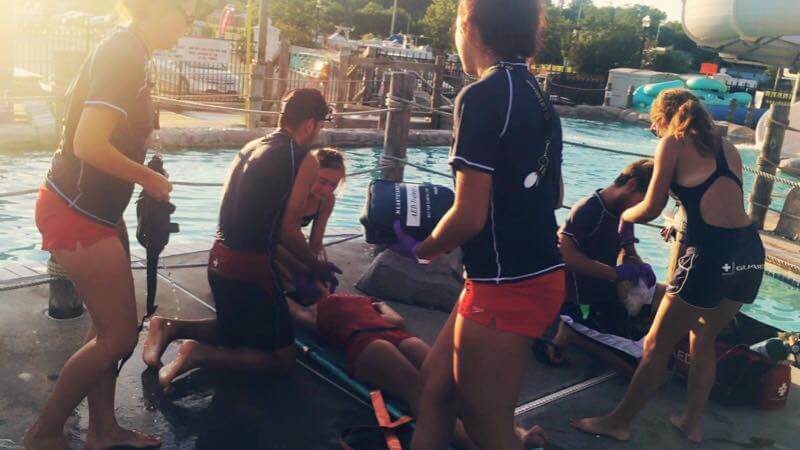 This will not only prepare the Junior Lifeguards for working at the Water Park, but they will also gain a general knowledge of many life-saving skills.